This twofer was released again in June, 2004, but this time the label omitted "Du (Rain)" instead of shortening "Blue (A Folk Tale)." Milestone MCD-47101-2, barcode 0 25218 4711-2 1. 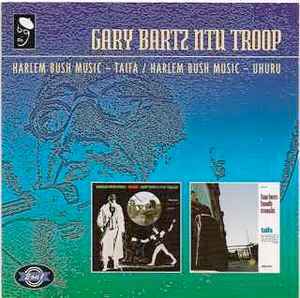 It appears every time a Bartz dobule CD is issued, the label either omits or edits a track ("Disjunction" was left off Libra, "Etoile des Neiges" bumped from Follow, the Medicine Man, "Sifa Zote" was edited on I've Known Rivers, and the 2 aforementioned variations of the Harlem Bush Music twofers). The Japanese usually do it right and issue one release per CD.